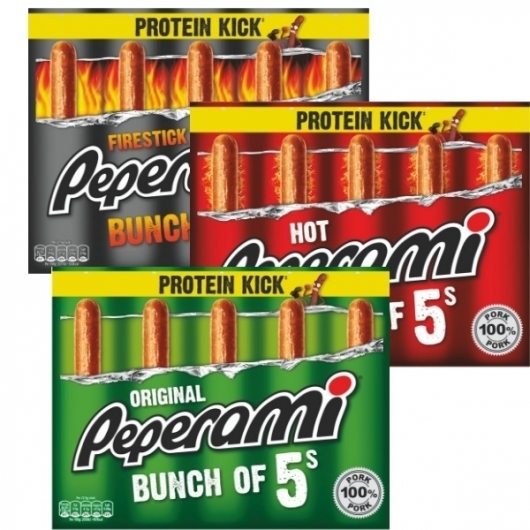 Give your snacking game a spicy pep-up with these Peperami Sticks. 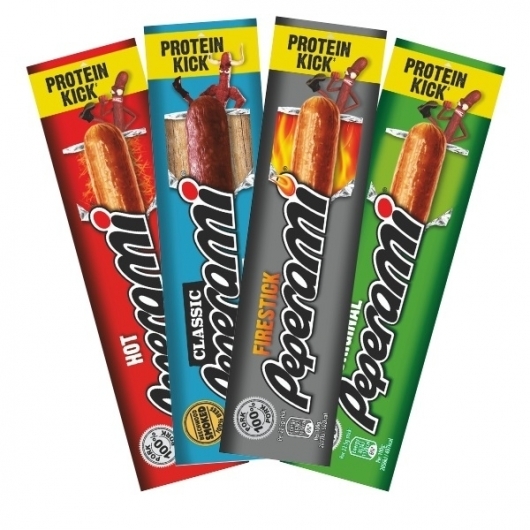 Rich in flavour and with a unique chewy texture, these sticks are a source of protein and are a good go-to following a workout or when you're looking for a fulfilling snack to take you through to mealtime. 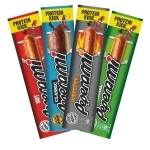 Keep them in your gym bag or office drawer for a meaty protein hit when you need it! Pork, iodised salt (salt, potassium iodate), dextrose, spices, flavour enhancers (monosodium glutamate, disodium inosinate, disodium guanylate), preservative (sodium nitrite), beechwood smoke. Pork, iodised salt (salt, potassium iodate), spices, dextrose, flavour enhancer (monosodium glutamate), flavourings, preservative (sodium nitrite), beechwood smoke. Pork, iodised salt (salt, potassium iodate), spices, dextrose, flavourings, flavour enhancer (monosodium glutamate), preservative (sodium nitrite), beechwood smoke. Beef, Iodised Salt (Salt, Potassium Iodate), Dextrose, Onion Powder, Pepper, Garlic, Antioxidant (Sodium Ascorbate), Preservative (Sodium Nitrite), Beechwood Smoke. Made with 146g Pork per 100g finished product, as some moisture is lost during curing and drying. 100g Beef Salami is made from 165g Beef as some moisture is lost during curing and drying .